Stretched along the Schuylkill River near Spring City, the Pennhurst compound was constructed in several stages to include a lower and upper campus. 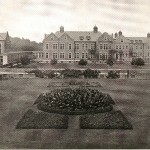 Designed in the cottage style, a series of underground tunnels connected the principal buildings. Noted architect Philip Johnson was instrumental in the early design of buildings and grounds. Within Pennhurst's walls, residents were separated by ability and by gender, and whether they were assigned to training or custodial care. A railroad line abutted the property, bringing people and material supplies in along the river. In addition to classrooms, a hospital, and a small cemetery, Pennhurst was a "working" institution where residents labored in fields and on a dairy farm, in a woodshop and other enterprises. Critics likened this condition to peonage, a practice that was common at other institutions. For a time there was a range of social opportunities that included a marching band, a choral society, and athletic teams. After Pennhurst's closure in 1987 the entire complex fell into disrepair due to abandonment and neglect. Sale of the building and grounds to a private developer sparked public protest that led to the creation of an advocacy group, The Pennhurst Memorial and Preservation Alliance. The Alliance spearheaded an innovative preservation site use plan, the erection of a historical marker, and further protest when the for-profit "Pennhurst Haunted Asylum" opened in late 2010. The Alliance has continued to champion a broad advocacy and community education effort to preserve the history and memory of Pennhurst and similar institutions in the Commonwealth. During eight decades of continuous operation (1908-87), Pennhurst evolved from a model facility into the subject of tremendous public scandal and controversy before the federal courts ordered it closed and the remaining residents moved elsewhere. Twenty years after its closure, the Pennhurst campus was recognized as an International Site of Conscience and its history became associated with a national and international disability civil rights movement. The Pennhurst story serves as a reminder of Philadelphia and Pennsylvania’s critical role in one of the great freedom struggles in contemporary history. 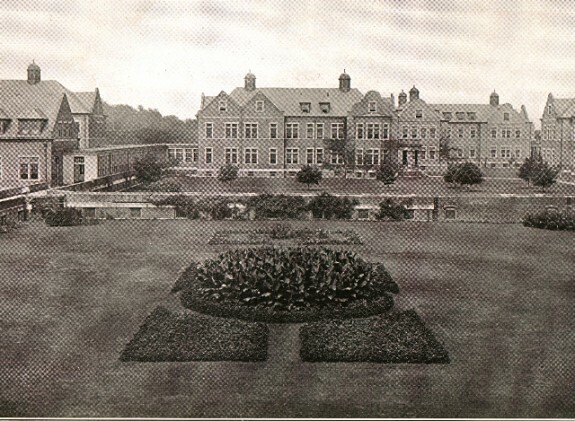 Opened in 1908 as the Eastern Pennsylvania Institution for the Feeble Minded and Epileptic, but better known by its popular name, Pennhurst was part of a national trend to segregate individuals with intellectual and developmental disabilities (then referred to as “defective”, “degenerate” and “unfit”) from mainstream society. Fearful that existing institutions at Elwyn (outside Philadelphia) and Polk (in Venango County) would be overwhelmed by what they saw as a rising tide of hereditary “feeble-mindedness,” Philadelphia public health officials like Martin Barr (1860-1938), Joseph Neff (1854-1930), and George Stanley Woodward (1863-1952) joined other medical professionals in persuading the state legislature to provide relief through perpetual quarantine. 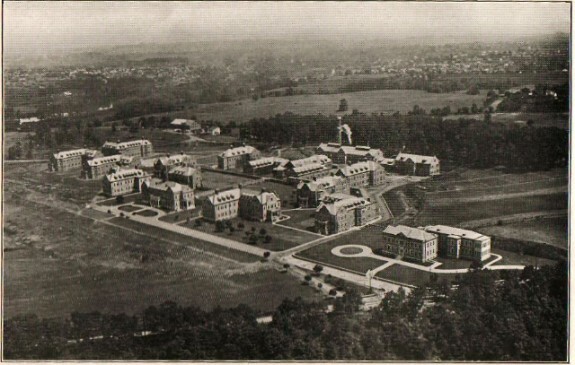 Over eight decades more than 10,500 individuals resided at the 1400-acre facility outside of Spring City in rural Chester County; at its peak more than 3,500 people were in custodial care at Pennhurst. 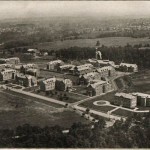 By the late 1940s a growing public movement spearheaded by family members and new groups like the Association of Retarded Citizens (ARC) challenged administrative practices at Pennhurst and other such institutions. This advocacy movement was encouraged by a series of startling media exposes, none more compelling than Philadelphia newsman Bill Baldini’s 1968 five-part television report entitled “Suffer the Little Children.” Film footage of half-clothed children wandering aimlessly on the ward, the sights and sounds of everyday institutional life, and Baldini’s own sparse narrative revealed a hidden world of neglect. So disturbing were conditions in institutions like Pennhurst that in 1985 U.S. Supreme Court Justice Thurgood Marshall denounced the “regime of state-mandated segregation and degradation . . . that in its virulence and bigotry rivaled, indeed paralleled, the worst features of Jim Crow.” Residents themselves, now called self-advocates, soon joined the campaign for more humane treatment and equal protection under the law. Pennhurst figured prominently in several civil rights lawsuits filed in the 1970s, including the groundbreaking Halderman v. Pennhurst State School and Hospital, which was settled in 1984 and led to the institution’s closure three years later. Halderman v. Pennhurst opened the way for greater educational opportunities and community-based living arrangements for people with developmental disabilities. In 2010 the Commonwealth of Pennsylvania (joined by the Pennhurst Memorial and Preservation Alliance and the Public Interest Law Center of Philadelphia) dedicated a historical marker to Pennhurst’s enduring legacy in Pennsylvania and American history. Act to Provide for the Selection of a Site and the Erection of a State Institution for the Feeble-Minded and Epileptic” (No. 424). Laws of Pennsylvania. 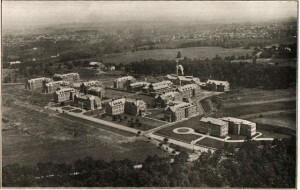 (Harrisburg, 1903), pp. 446-50. Jenkins, Philip. “Eugenics, Crime and Ideology: The Case of Progressive Pennsylvania.” Pennsylvania History 51 (January 1984): 64-78. Report of the Commission on the Segregation, Care and Treatment of Feeble-Minded and Epileptic Persons in the Commonwealth of Pennsylvania. Harrisburg, 1913. Pennsylvania Statutes, Pennsylvania State Law Library, Lewis Katz Building, University Park, Pa.
Department of Public Welfare Collection, Pennsylvania State Archives, 350 North Street, Harrisburg, Pa.
Elwyn Archives and Special Collections, 111 Elwyn Road, Elwyn, Pa.
Pennhurst Historical Marker, Spring City, Pa. I watch on tv, the haunting of Beverly Mitchell ,and i found the story so sad, I wanted to know more. So I look up the name of the place Pennhurst. How can people be so cruel. And how come it took so long to close it down .This is unreal. I cant even tell you how it makes me feel. My heart goes out to them.